What does data reveal about terrorist attacks around the world? 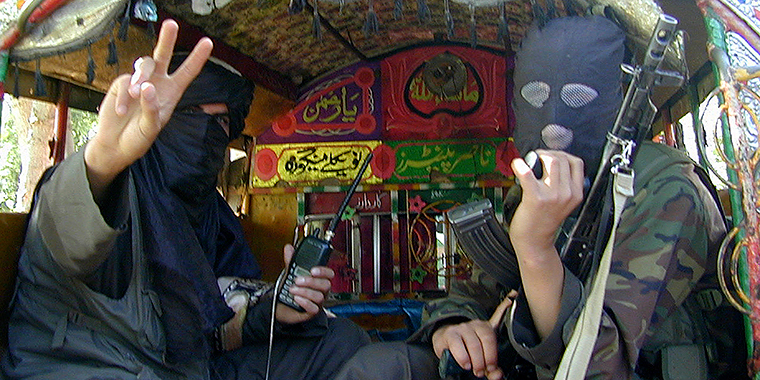 Pakistani Taliban fighters gesture toward the camera before leaving Buner, about 60 miles northwest of Islamabad, on April 24, 2009. Following 9/11, terrorism has loomed large as a pervasive security threat. Do the numbers support the belief that terrorism has reached an unprecedented level? In general terms, yes. The year 2016 saw three times more terrorism-related deaths than in 2001 and nearly eight times more than in 2000. But while terrorism has increased dramatically in some places (such as the Middle East and South Asia), it has gone down virtually everywhere else. Deaths from terrorism have generally increased since 2001 but beginning in 2012, terrorist attacks and resulting deaths spiked, culminating with 32,775 deaths in 2014—the year with the highest number of terrorism-related fatalities on record. In 2015, the number of attacks and deaths both decreased by about 10 percent and fell further still in 2016, but these figures remain many times higher than those of the previous decade. Since 2011, the vast majority of terrorism-related deaths—more than 70 percent, and as many as 81 percent—took place in just five countries, all of which are afflicted by war, insurgency, or instability: Afghanistan, Iraq, Nigeria, Pakistan, and Syria. In 2015, more than 90 percent of all terrorism-related deaths occurred in countries engaged in violent conflicts. Deaths from terrorism are not only concentrated in a small number of countries, but also they are perpetrated by a small number of groups. Since 2014, three-quarters of terrorism-related deaths (by known groups) were the responsibility of just four groups or networks: al-Qaeda and its affiliates, Boko Haram, the self-proclaimed Islamic State, and the Taliban. Not coincidentally, these groups often operate in the countries with the most terrorism-related deaths. In 2014, Boko Haram and the Islamic State were responsible for more than 50 percent of terrorism-related deaths. Although the Islamic State controls less territory in Iraq and Syria than it did at its peak around 2014, it remains the deadliest terrorist organization in the world. In fact, in 2016, violence perpetrated by the Islamic State resulted in a record number of deaths committed by the group. Attacks outside Iraq and Syria by individuals inspired by the Islamic State have also been rising: between 2013 and 2016, forty-two countries faced Islamic State–related terrorist attacks. Those include attacks in Australia, Bangladesh, France, Germany, Indonesia, and Pakistan. These attacks often receive intense media coverage, contributing to the heightened perception of the threat terrorism poses today.